All hammers are not created equal. 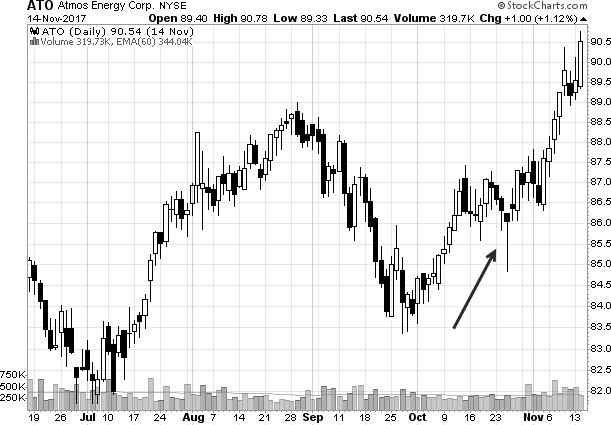 There are really only a handful of times that this candlestick pattern is actually useful. And, if you traded every single hammer pattern, you would lose money! "The longer the lower shadow, the shorter the upper shadow, the smaller the real body, the more meaningful the bullish hammer." That's pretty good, but let's add a few more tips to improve the odds of this classic pattern. A hammer has to develop after a wave of selling (a pullback) has occurred. If it comes after a wave of buying then it is no longer a hammer - it is a hanging man which is bearish. Look for the hammer to pull back to a significant support area on the chart. If it is just dangling on the chart with no obvious support to the left, then it is better left alone or you can wait until the following day to see if a reversal takes place. Look for the shadow (tail) of the hammer to shake out obvious areas on the chart where stop loss orders are clustered. With these traders out of the way, the stock can rally. Look at the range for the day. Is it greater than the range of the prior candles over the past several days? If so, then the hammer will be more reliable. Has volume increased from the prior day? If so, then you know that interest is picking up in the stock at the current price level. This falls under the classic technical analysis wisdom that "volume precedes price". It has a long lower shadow. It has no upper shadow. It has a small real body compared to the range. It developed after a wave of selling. It is at a significant support area ($86.00). It fell below the prior swing point low shaking out other traders. The daily range is greater than the prior sessions. Volume has increased from the prior day. You won't always find perfect hammer candlestick patterns like this one but you at least want to try to put as many factors in you favor as possible. Then you can trade them with better odds and more confidence in the expected outcome.